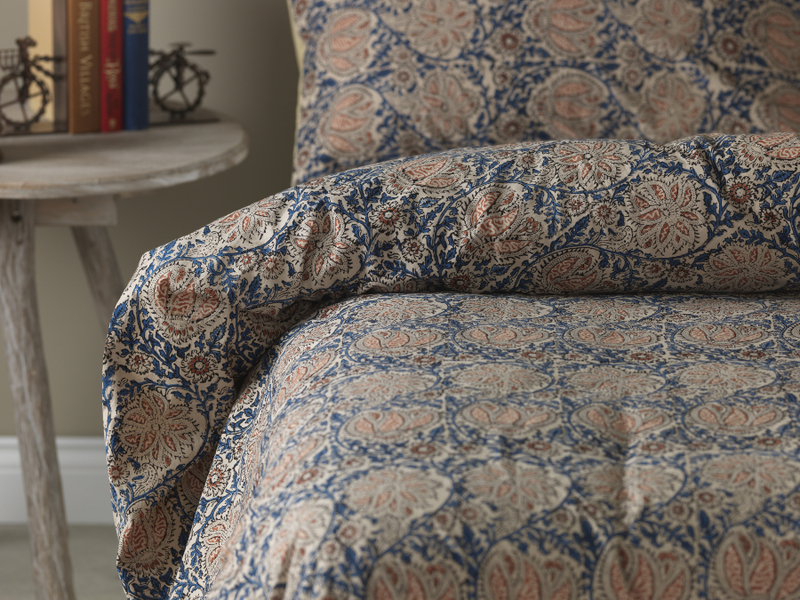 Fair-trade and full of colour, this king size duvet cover comes as part of the Indian Garden collection; designed with a stunning floral pattern against a background of striking navy blue. The design is coupled with a luxuriously soft feel of 100% Indian cotton. The design is block-printed onto the duvet by hand by skilled artisans working is a safe, sustainable, fair-trade environment. The entire Indian garden range was made by talented artisans through the fair-trade producer Avarali. They work with artists based in Rajasthan that adopt traditional crafting techniques to make these wonderful designs. All printing is done by hand with a tried-and-true block-printing technique. 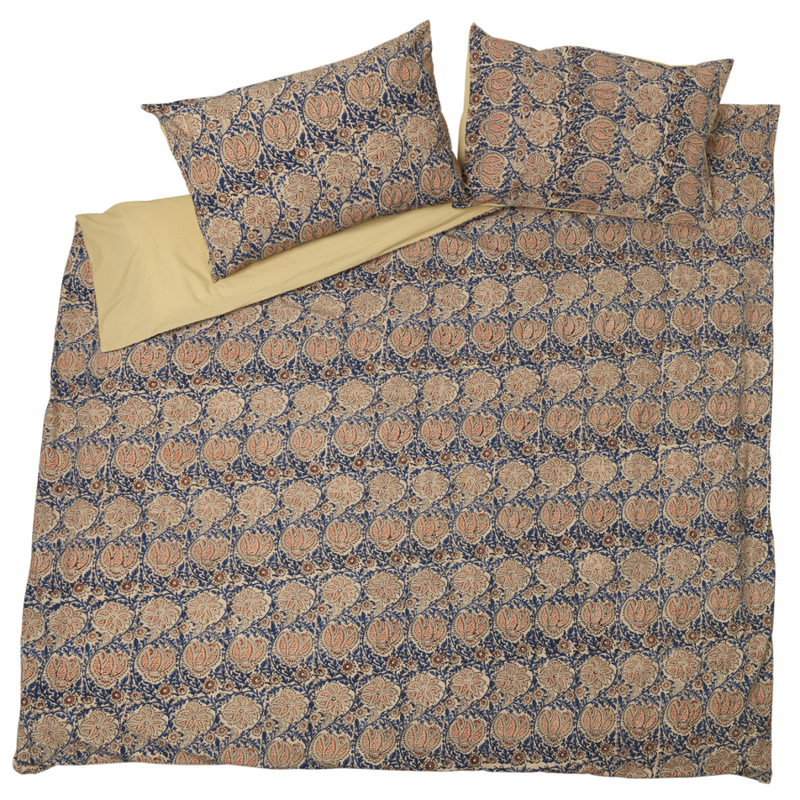 The Indian Garden Duvet Cover - King Size product ethics are indicated below. To learn more about these product ethics and to see related products, follow the links below. 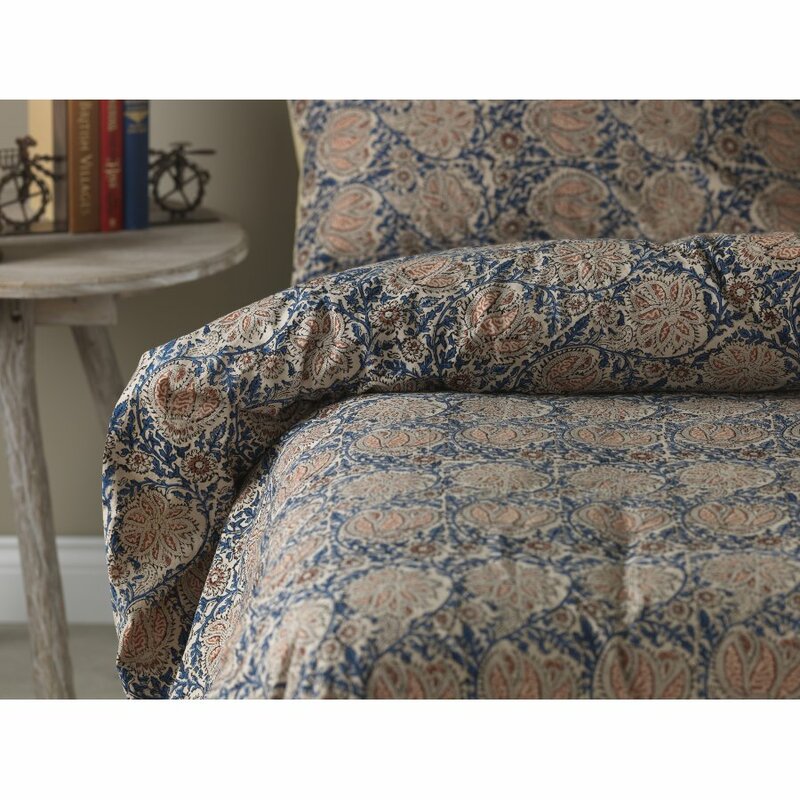 There are currently no questions to display about Indian Garden Duvet Cover - King Size.